You've never seen a cookie jar like this! 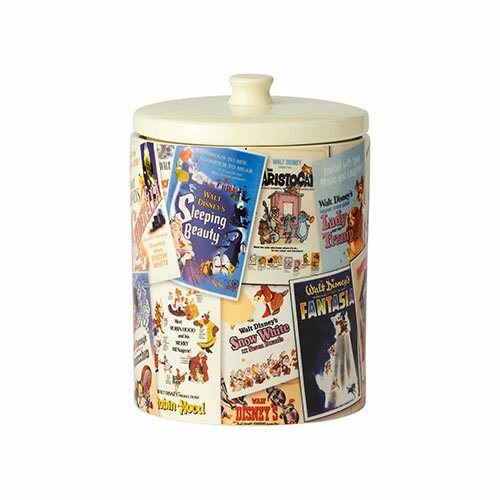 Disney fans are sure to get caught with their hands in this sensational Disney Classic Film Posters Collage Cookie Jar. The 9 1/4-inch tall x 8 5/8-inch diameter cylindrical design is handcrafted from ceramic and hand painted with classic Disney film posters. Vintage lovers and Disney fans alike will delight in the nostalgic collage!